DeviceFidelity has announced that moneto prepaid MasterCards will now be available at all MetroPCS retail locations in the San Francisco area. Customers using the moneto prepaid MasterCard will also be able to use the moneto Android app, which will enable customers to manage their account, monitor transaction history, view real time balance information, make mobile payments, transfer money to other moneto users, as well as take advantage of moneto’s cash rewards program. The app is currently available for download on the Google Play. Additional services available through the moneto online banking solution include free direct deposit, online bill pay and customizable text and email alerts. The cards are also reloadable at any MetroPCS location. 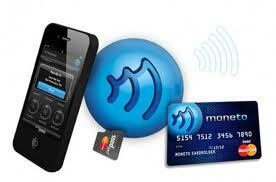 The moneto mobile wallet pack includes the moneto MasterCard and an NFC enabled microSD card developed by DeviceFidelity. The microSD card features MasterCard PayPass technology, which when inserted into a phone enables the device to pay for in-store items anywhere debit MasterCard PayPass is accepted. Additional information about the moneto offering can be found here.